There has been a noticeable rise in team-up superhero movies, especially within the Marvel Cinematic Universe, since The Avengers showed what they could be in 2012. Since then, few films by Marvel Studios have focused on a solo hero. As far as they have let on, Doctor Strange looks to take things back to this singular hero approach. Following the massive ensemble that was the studio's biggest team up yet in Captain America: Civil War, making Benedict Cumberbatch's first outing as the Sorcerer Supreme a solo venture might be a breath of fresh air. When Civil War is released on Blu-ray and DVD in a few weeks, it will do so with an extra look at Marvel's next and strangest property. The move will give even the most casual of Marvel fans a deeper glimpse at Doctor Strange, but for those who cannot wait, Marvel has released a sneak peek at the special video that features plenty of interesting moments. The new sneak peak is titled Open Your Mind: Marvel's Doctor Strange, and it does something interesting by not focusing on the titular hero. Instead, there are plenty of looks at supporting cast, like Baron 'Karl' Mordo (Chiwetel Ejiofor), the Ancient One (Tilda Swinton), and more info on the mysterious Kaecilius (Mads Mikkelsen). Check out the video for yourself to see all of that and some brand new, mind and world bending concept art. The brand new concept art gives further insight into how the movie will depict magic. Throughout the multiple pieces, one interesting thing of note is the focus on Kaecilius. After getting someone of Mikkelsen's stature for the role, it should come as no surprise that Marvel would want to spend considerable time with him to better flesh the character out. With Kaecilius being the only known villain in the film to this point, to hear Kevin Feige say, "We're excited about the villains in this film," certainly could raise some eyebrows. 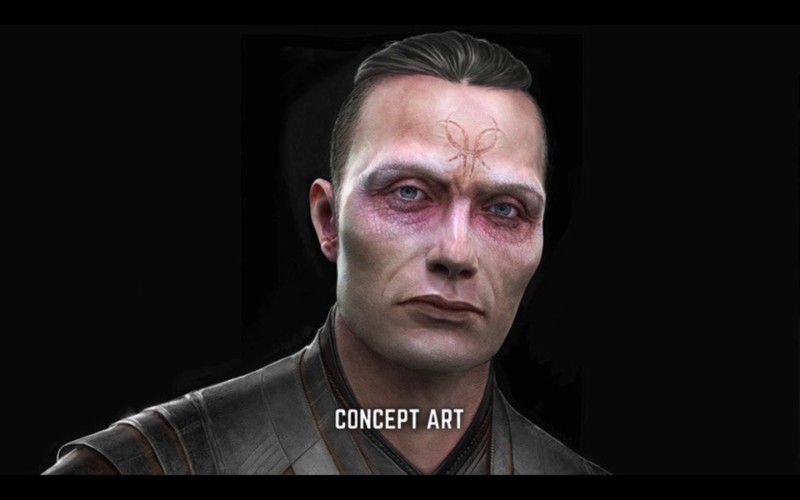 There has been speculation that Kaecilius, while being a worthy foe for Strange in his initial outing, could be part of a larger plan and ultimately working for someone else. These "Zealots" as Feige calls them, seem to have had plenty of history with the other side of reality and there are no shortage of villains that Marvel and director Scott Derrickson could pull from. Then again, Feige could just be referring to an appearance from Brother Voodoo or other minor characters. Captain America: Civil War will be available on Digital HD on September 2nd and on Blu-ray/DVD on September 13th, 2016. Doctor Strange opens November 4, 2016; Guardians of the Galaxy Vol. 2 – May 5, 2017; Spider-Man: Homecoming – July 7, 2017; Thor: Ragnarok – November 3, 2017; Black Panther – February 16, 2018; Avengers: Infinity War Part 1 – May 4, 2018; Ant-Man and the Wasp – July 6, 2018; Captain Marvel– March 8, 2019; Avengers 4 – May 3, 2019; and as-yet-untitled Marvel movies on July 12, 2019, and on May 1, July 10, and November 6 in 2020.